Bohol was a disaster site after the deadly magnitude 7.2 earthquake of October 15. Engulfed in darkness because of landslides and the destruction of electrical power connections, life and survival became a challenge. 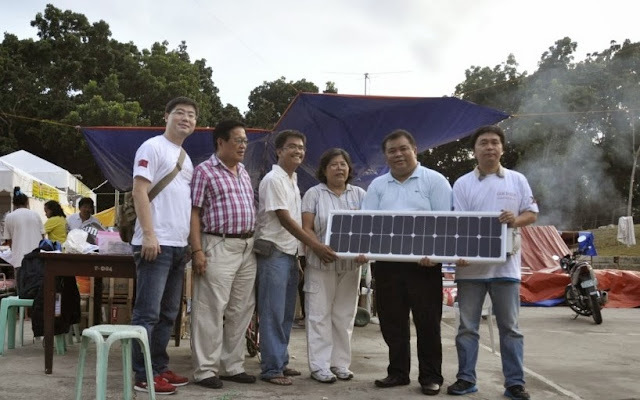 Four days after the earthquake, Gold Sun Comservices Inc. donated 8 units of solar streetlights and t-shirts for hospitals and staff nurses, and evacuation centers. Three units of streetlights were installed at the Natalia Castillo Sr. Memorial Hospital and one hand-carried lamp helped two pregnant women to deliver their babies during the long brownout. 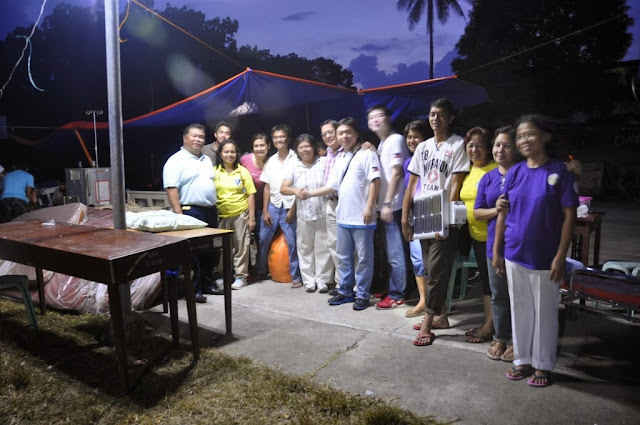 Gold Sun Manager Jack Shi and Marketing Manager Roy Siy led the solar lights installation and collaborated with local government partners Congressman Rene Relampagos of Bohol, Congressman Emil Ong of Samar, Bohol Governor Edgar M. Chatto, Loon mayor Lloyd Peter Lopez, M.D., Vice Mayor Edwin R. Ladeza, the DSWD led by Secretary Dinky Soliman and the DILG led by Secretary Mar Roxas for the lighting project. Above, Jack Shi and Roy Siy turn over the solar panels to local officials.